On September 15 we were pleased to launch a new line of equestrian themed cards and stationery; 15% of every card purchase goes back to US Equestrian. This collection will grow to be a favorite for all horse enthusiasts, featuring vibrant color palettes, gold foil embellishments and stunning photography from Doug Prather Art. 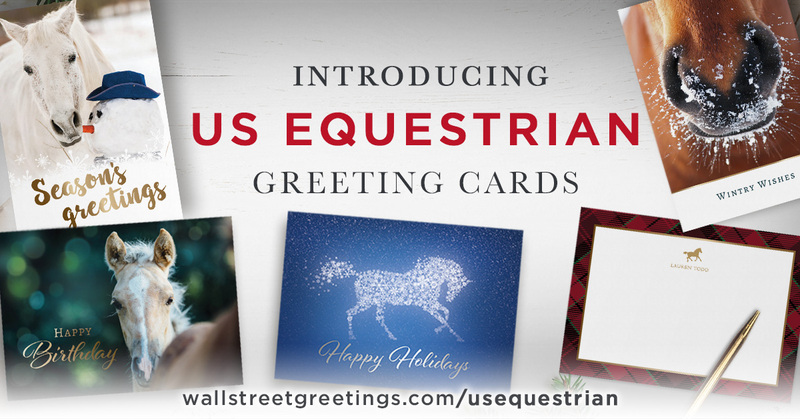 This entry was posted in US Equestrian and tagged Holiday Greeting cards, notecards, christmas cards, Equestrian on September 21, 2017 by wallst_greet. It was a crisp, breezy afternoon when the pumpkin truck rolled in; it’s Mum Day at the office. The horrific weather moving into Florida and devastation leftover in Texas is on our minds as we experience the colors, sounds and scents of fall moving into Kentucky. 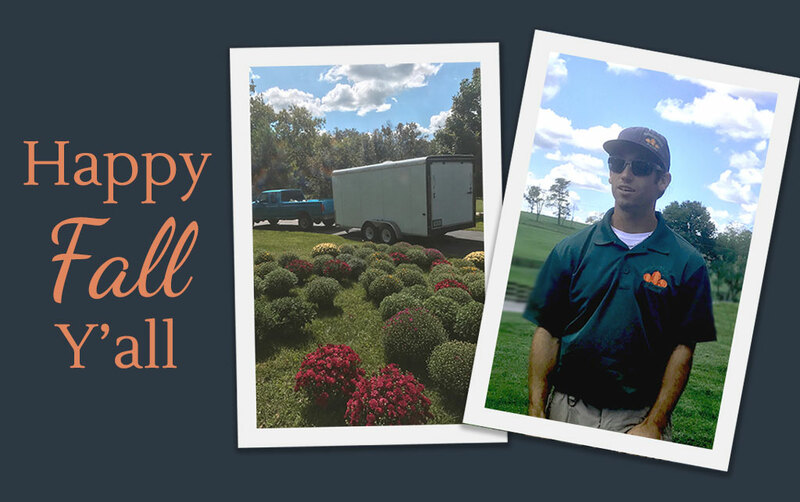 Our annual visit from a favorite farm manager with the rosiest, fullest mums in the county, signals the final days of summer and the thrill of being on the cusp of another successful holiday card season. It wouldn’t be right if we did not give you a little push to place your holiday card order now. We are offering some of our best discounts in September and we know that as fall comes and goes the days do get shorter, time moves faster and the bustle of the holiday season brings with it a long to-do list. Wouldn’t it feel great to have your holiday card order placed before the last fall leaf falls? This entry was posted in Wall Street Greetings, Holidays and tagged company culture, employee satisfaction, holiday cards on September 7, 2017 by wallst_greet.